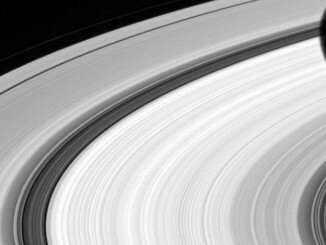 More than a year after NASA’s Cassini spacecraft ended its hugely successful mission with a suicidal plunge into Saturn’s atmosphere, researchers have analysed data collected during its final orbits to determine the mass of the planet’s spectacular ring system and in so doing, its age. They also gained new insights into the planet’s interior structure and, in unrelated research, came up with a more definitive value for Saturn’s rotation period. 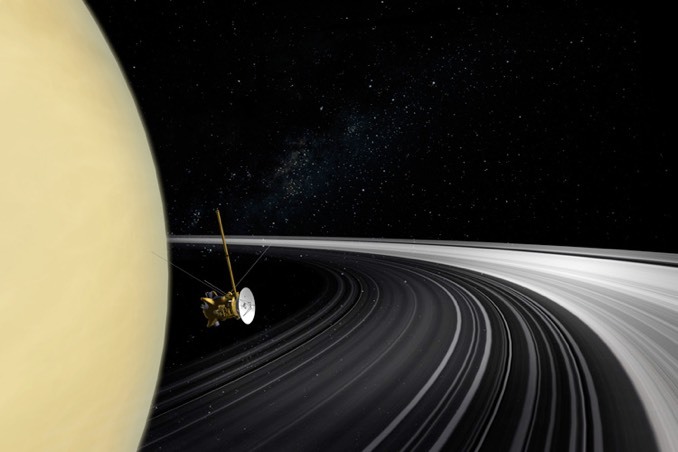 Running out of propellant near the end of its life, Cassini was directed to repeatedly fly between Saturn’s rings and the giant planet’s cloud tops before its final plunge into the atmosphere. 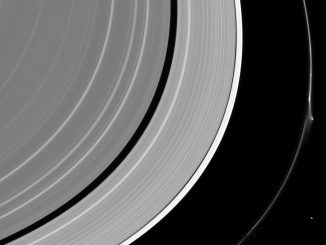 Analysis of subtle changes in the spacecraft’s velocity due to the gravitational tugs of the ring system and the planet, accurate to fractions of a millimetre per second, allowed the researchers to come up with the mass of the rings. Iess’ paper in the journal Science builds on earlier research indicating a younger age for the rings based on the brightness of the particles. Older material likely would have been contaminated and darkened over astronomically long periods. Cassini made another surprising discovery about the internal motions of Saturn’s atmosphere during the spacecraft’s final close-in orbits. Researchers have long known Saturn’s equatorial atmosphere rotates faster than its inner layers and its core, with layers eventually rotating in lockstep the deeper one goes. 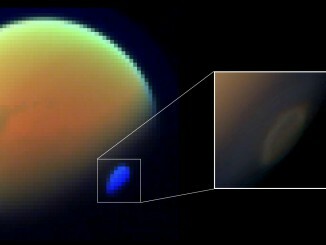 The Cassini data show the layers start rotating in synchrony three times deeper than they do at Jupiter. The measurements allowed researchers to determine the mass of Saturn’s core: 15 to 18 Earth masses. In unrelated research, Christopher Mankovich, a graduate student at the University of California at Santa Cruz, used Cassini observations to come up with a more accurate value for the time it takes Saturn to complete one rotation: 10 hours 33 minutes and 38 seconds. The result was based on detailed observations of oscillations in the rings that are tied to vibrations within the planet. The research shows Saturn rotates several minutes faster than estimates based on data from the Voyager spacecraft during flybys in the early 1980s. Mankovich’s research was published in the Astrophysical Journal. A bright disruption spotted by NASA’s Cassini spacecraft in Saturn’s narrow F ring suggests it may have been disturbed recently. 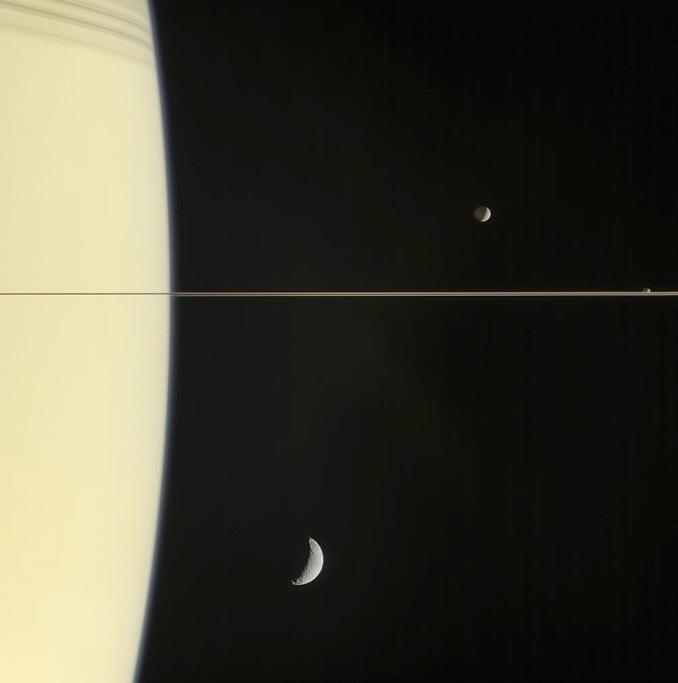 In this image from the Cassini probe orbiting Saturn we see that there are varied structures in the planet’s rings at almost every scale imaginable.